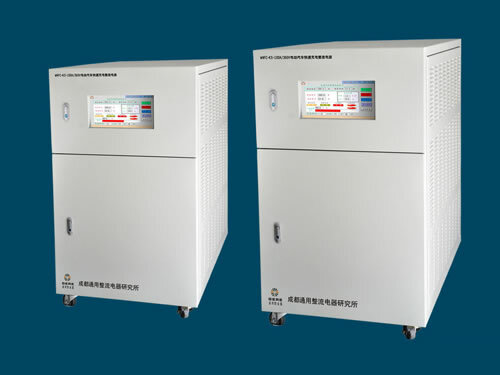 This charging rectifier power supply device adopts IGBT inverter soft switch AC-DC, DC-AC or AC-DC rectifier, LC filtering, DSP microcomputer digital control and instantaneous value double-loop control system. 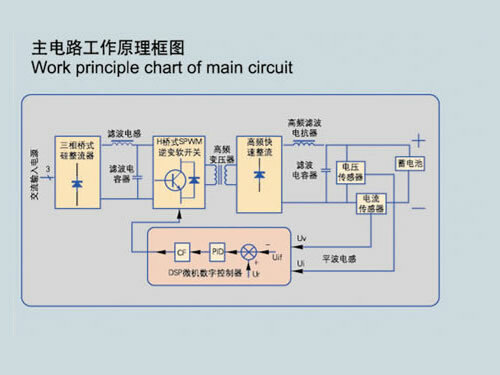 The high frequency inverter power supply device has constant-current limit voltage and constant-voltage limit current charge controlling functions. 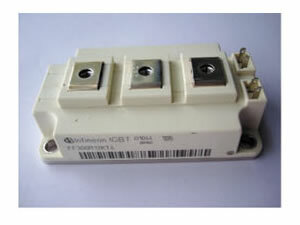 This type of charging rectifier power supply device is of fast response speed and no overshoot. With small volume, light weight and high efficiency, the high frequency inverter power supply device can be widely used for lead-acid storage battery and battery charging. 1. 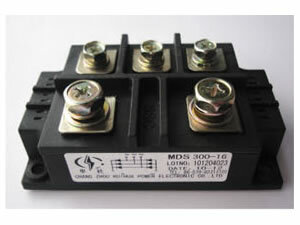 Constant-current limiting voltage and constant-voltage limiting current output control modes are optional for customers. 2. 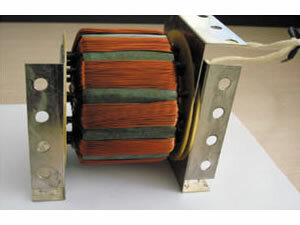 The high frequency inverter power supply device owns many protection functions including open phase, over voltage, under voltage, quick fuse or fuse alarm, and breaker protections of AC power supply, protections of output over current and current limiting, protections of output short circuit and instantaneous overload, protections of IGBT rectifier components, high frequency rectifier transformer, over temperature and overheated bus copper bar, overheated wind machine and block trigger pulse protections. 3. This charging rectifier power supply device can display and record working current, voltage and history curves of current and voltage in time. 4. The high frequency inverter power supply device can be connected with computer through RS485 communication interface. It can also be stored by U disk then re-stored to computer, which is convenient to save customers' files. 5. We can provide CAN BUS, PROFIBUS, ETHERNET, RS485 and RS232 fiber communication to realize remote control or monitoring according to customers' requirements. 6. This charging rectifier power supply device has a small volume and light weight. The volume is about one eighth of SCR rectifier while the weight is one twentieth. 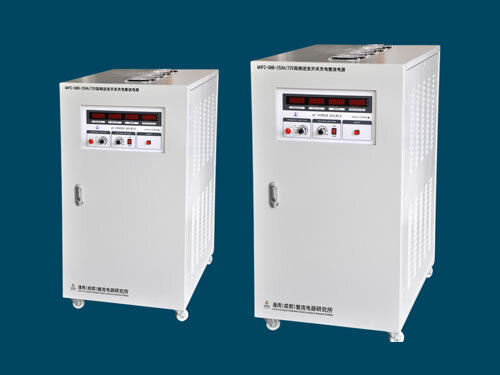 Chengdu General Rectifier Research Institute is a professional manufacturer of high frequency inverter switch charging rectifier power supply device in China. 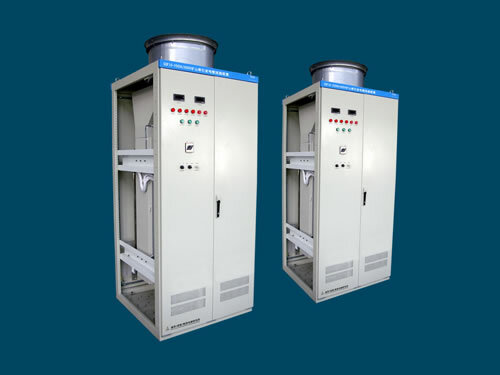 In addition to this high frequency inverter power supply device, we also produce mine traction substation rectifier complete systems. Our products have been exported to USA, Germany, Australia, Singapore, India, Brazil, Iran, Vietnam, Kazakhstan and Malaysia, etc.